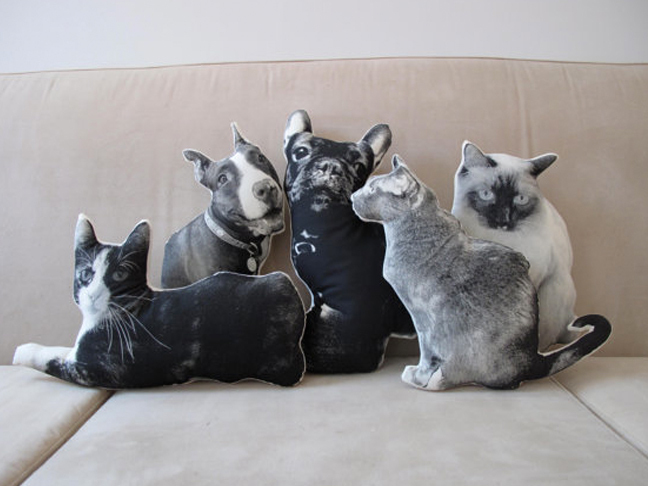 Who wouldn’t love having a pillow or two or three, made from an actual photograph of their own beloved pet? 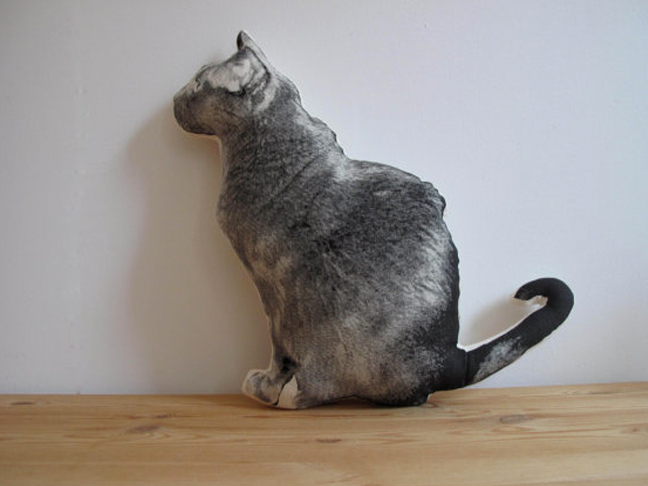 So when I came across these adorable customized silkscreened pet pillows, I just had to share them with you. They’re made by artist and printmaker Shannon Broder, who has a love for both drawing and silkscreening all sorts of creatures. And then she brings them to life by sewing and stuffing their images onto pillows you can play with or arrange on your bed to remind you of your cherished pets every time you pass by them. Here are just a few adorable examples of pet pillows that she’s done for other pet owners, and if you don’t have a pet of your own, these would make fantastic gifts for almost anyone you know who’s nutty over their pet. 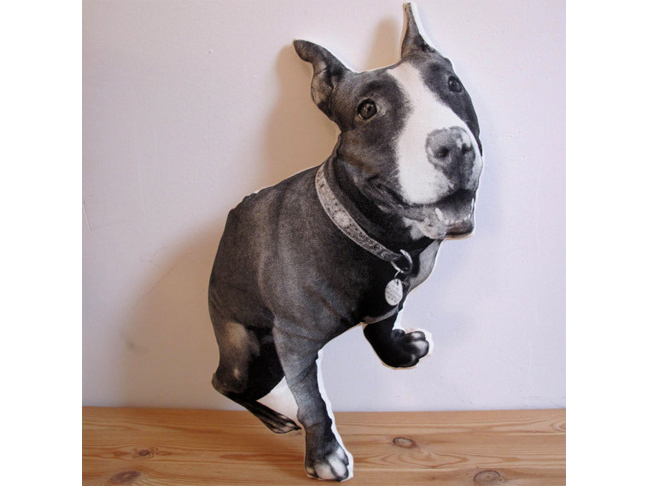 All you need to do is send in your own black and white photograph of your pet to the artist and she’ll silkscreen your image onto fabric, and then convert the image of your pet into a fully stuffed and adorable pillow. 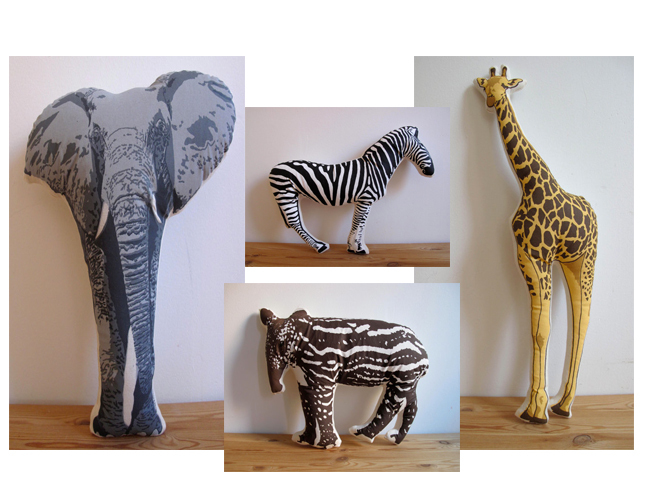 Or, if you don’t have a pet of your own, but you just happen to love animals and would like to create your own stuffed pillow zoo, you can mix and match your own herd of animals any way you like. 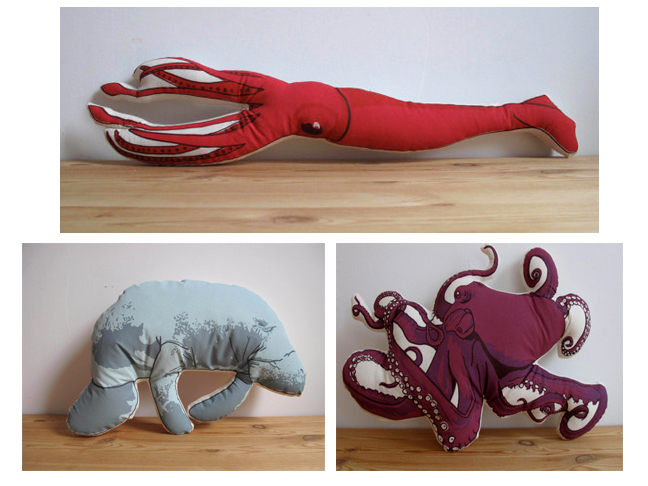 And if ocean life is more your style, check out these colorful and fun sea creatures that will add whimsy to almost any room or decor.